Think local for your next event! Explore vendors from the area showcasing products and services designed to make your next event extra special! Free Mimosas & Appetizers Served. 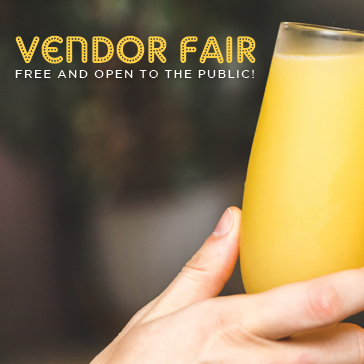 Want to be a Vendor? Call Sharon at 708.747.0306.